Is your piano not playing like it should? There are hundreds of moving parts in a piano that over time wear out and require either repair or replacement. 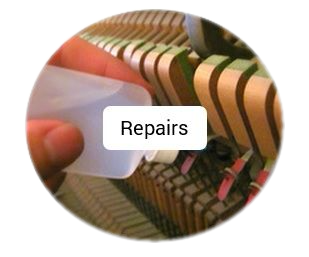 Strings, key tops, springs, felts, hammers and centre pins are just a few of the many things that need replacing or attention from a piano technician from time to time. Years of music books being shuffled on and off of your piano can scratch up or dull the look of your once pristine instrument. Depending on the type of finish your piano has, these scratches can often be removed making your piano look new again. Chips or cracks in high gloss finishes can also often be refilled and polished. As the seasons change, so does the humidity in your home. 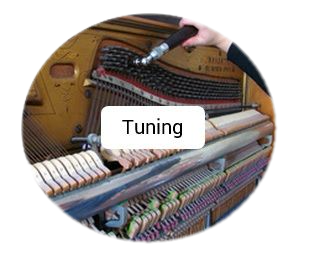 This change can greatly affect how your piano sounds. A Dampp Chaser System protects your piano from from climate and environmental changes, and keeps your piano in tune longer. Contact me for a quote or installation.